Cailee Rae Photos, News, and Videos | Just Jared Jr.
Eva Gutowski is all smiles at the Showpo party held at NeueHouse in Hollywood on Thursday night (August 24). The social star, who was just announced as one of TRL‘s new Social Media Correspondents, was joined at the bash by singers Laura Pieri, Savannah Outen and Cailee Rae, and actress Meg Donnelly. On top of Eva‘s new TRL gig, she’s also starring in Hulu’s All Night and was nominated for a Streamy Award! Seriously, this is Eva‘s world and we’re all living in it. Skai Jackson got the memo — on Wednesdays, we wear pink! The Bunk’D actress and fashionista wore the chicest pink dress for the harper x Harper’s BAZAAR May Issue Event last night in Los Angeles. 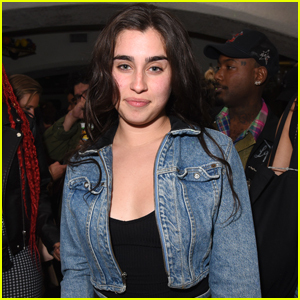 Jenna Ortega, sisters Laura and Vanessa Marano; and Amelia and Delilah Belle Hamlin were also at the party. Social stars Amanda Steele, Olivia Jade, and Eva Gutowski were also spotted inside, along with Baby Daddy‘s Katie Gill, singer Cailee Rae, and Jillian Rose Reed. FYI: Laura wore a Balmain dress. Katie wore a Tadashi Shoji dress with Fendi boots. Skai wore a Self Portrait dress with Christian Louboutin heels. We are taking style notes from the queens of NYFW right now – Dove Cameron and Danielle Campbell. The ladies stepped out for the Sherri Hill presentation during 2017 New York Fashion Week at Gotham Hall on Monday (February 13) in New York City. Also sitting front row were Brec Bassinger, Jordyn Jones, Bethany Mota, Clare Foley, and Cailee Rae. Also pictured below: Danielle wears a full look from Ports 1961 while in between shows with friends on the streets of downtown Manhattan. With less than a week away from Thanksgiving, JJJ, fans and celebs alike are majorly looking forward to it. Thanksgiving means FOOD, family, friends, football…all the good things in life. 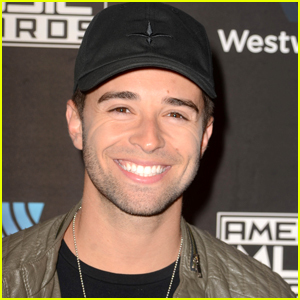 Jake Miller recently spilled his plans for the annual holiday on Twitter. “Could not be more excited to be back home in south florida for thanksgiving/my bday with all my friends and family next week,” he writes. Sounds like good plans to us! Check back with us next week to find out how more celebs will be celebrating! Cailee Rae looks super chill in this feature for the Fall 2016 issue of NKD magazine. For more on Cailee, visit NKDmag.com. Skai Jackson glitters up the red carpet at the Boohoo X Jordyn Woods Fashion Event held at NeueHouse Hollywood on Wednesday night (August 31) in Los Angeles. The 14-year-old Bunk’D actress joined Sophie Reynolds, Teala Dunn, Asia Monet Ray, Chandler Kinney, Madisyn Shipman, Renee Olstead, and Cailee Rae at the event. Pretty Little Liars stars Kara Royster and Ava Allen, plus Project Mc�‘s Genneya Walton and Ysa Penarejo hit the event. FYI: Skai is wearing a cool Marc Jacobs dress and Ruthie Davis heels.